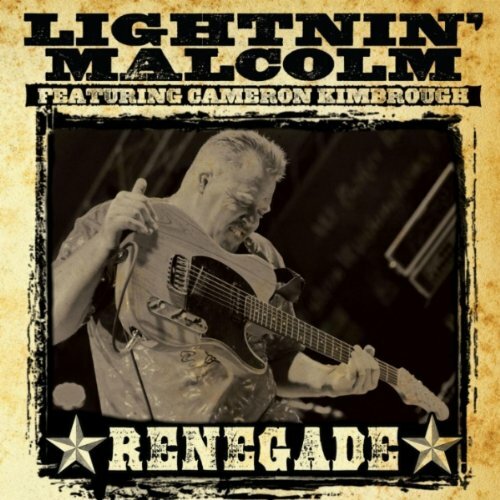 I've been a fan of Lightnin' Malcolm for several years and have had the pleasure of catching him with Cedric Burnside at various festivals the past few seasons. One thing I've always enjoyed is the effortlessness of his performance: the fire in his fingers, and the slightly gruff but somehow still mellow voice. It translated well on both Juke Joint Duo and 2 Man Wrecking Crew. Both albums rank high on my list of immensely playable blues discs. They're packed with grindin' hill country blues infused with soul, funk, and a lot of attitude. As well, I witnessed Lightnin' Malcolm serve as the glue that held together the Big Head Blues Club tour shows earlier this year. 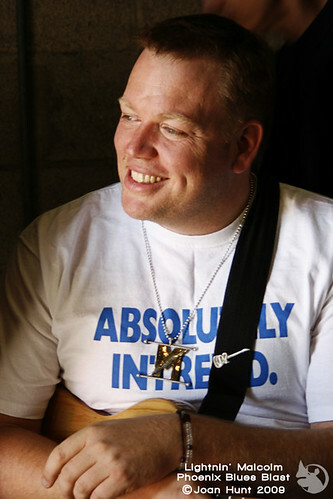 With his extensive experience as a blues guitarist, having worked with R.L. Burnside, Jessie Mae Hemphill, Junior Kimbrough, T Model Ford, Big Jack Johnson, and others, he was the natural bridge between Big Head Todd and legends David Honeyboy Edwards and Hubert Sumlin. Malcolm was the focal point on that stage. He held the whole shebang together, shining like the star he is. So why is it his new album strikes me as generally heavy and relentlessly muddy, not to mention somewhat restless? Don't get me wrong; there are several songs that make you stop and listen, and actually even go back for another listen. However, those bright spots are few and fleeting. Even with the horn section (Jim Spake, David McKnight, and Nahshon Benford), guest rapper J. Grubbz, and additional vocals from Nadirah Shakoor, it's not enough to break up some of the more leaden moments that permeate this CD if you play it in order from beginning to end. That said, I did say there were bright spots and they appear in the form of "Precious Jewel" -- a reggae-flavored high point; "Tell You Girl," which also benefits from a reggae-ish/slightly jazzier feel, which is demonstrated in sweeter guitar notes gracing the song beautifully; "So Many Women" is jangly and bold, but Malcolm uses that slashing and sliding to break up the muddiness that bog many of the other songs down. "Come Go With Me" is also creeping up the repeatable list with its soft harmonies and upbeat rhythms. To be honest, I don't dislike this album. Rather, I find myself playing my favorite songs one after the other and then waiting for the rest of the songs to come up in random play. In this manner, I can take the heavy, swampy tunes and they seem to find their way into my soul and not feel bogged down. With all that wah pedal murk, song after song, the album doesn't breathe and flow the way it should. Again, after I break up the songs and have a listen to them mixed in with other music? I can better appreciate each tune on its own. Individually, there's a lot to enjoy. Kind of a "parts are greater than the sum" thing, if you will. All at once, though, it feels like you're witness to a long car trip with a chain smokin' driver who only stops only for a quick pee and to grab a beer. The only view you get is the slowly changing landscape via the rearview mirror through the thick smoke that never really clears despite the driver's window rolled down so he can prop his arm up. It's that sameness that wears on you. Basically, if you break up the album and do a little rearranging of the song order, there are a lot of points of interest. It'll take a little experimenting, but I know if you give it time, you'll discover the groove that feels right for you and you'll come to enjoy more fully what Lightnin' Malcolm is offering on Renegade as I have. It's an interesting journey, this album, and I look forward to seeing what he comes up with next.